Several years ago, I attended an academic meeting where the subject of community health workers came up in a discussion. Earlier that year I had read about Vermont's ambitious blueprint for medical homes integrated with community health teams, so I volunteered that we needed fewer specialists and more trained laypersons with ties to their communities to implement prevention strategies. Another physician objected that while community health workers might work well in lower-income countries like India, we didn't need to deploy them in America, where people already know from their doctors that they should eat healthy foods, watch their weight, exercise, and not smoke and don't need others nagging them about it. How can we bridge this gap? A review in the Annals of Family Medicine provided a list of structure, process, and outcome factors to consider for patient-centered medical homes to partner with peer supporters (a.k.a. community health workers). This post first appeared on Common Sense Family Doctor on September 11, 2015. As a family physician and medical school faculty member, I'm naturally a big booster of primary care. 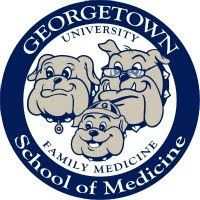 America needs more generalist physicians, not fewer, and much of my professional activity involves encouraging medical students to choose family medicine, or, failing that, general pediatrics or general internal medicine. But it's an uphill battle, and I fear that it's one that can't be won without major structural changes in the way that generalist physicians are paid and rewarded for their work. Those structural inequalities might lead a Martian who landed in the United States today and saw our health care system to conclude that we prefer treatment to prevention, that our bones and skin matter more to us than our children or sanity, that patient benefit is not a prerequisite for approved use of treatments or procedures, that drugs always work better than exercise, that doctors treat computers not people, that death is avoidable with the right care, that hospitals are the best place to be sick, and that we value avoiding wrinkles or warts more than we do hearing, chewing, or walking. Medical students are highly intelligent, motivated young men and women who have gotten to where they are by making rational decisions. For the past few decades, as the burden of health care documentation has grown heavier and the income gap between primary care physicians and subspecialists has widened, they have been making a rational choice to flee generalist careers in ever-larger numbers. The cause of these salary disparities - and the reason that more and more primary care physicians are choosing to cast off the health insurance model entirely - is a task-based payment system that inherently values cutting and suturing more than thinking. I receive twice as much money from an insurer when I spend a few minutes to freeze a wart than when I spend half an hour counseling a patient with several chronic medical conditions. That's thanks to the Resource-Based Relative Value Scale, a system mandated by Congress and implemented by Medicare in 1992 in an attempt to slow the growth of spending on physician services. Every conceivable service that a physician can provide is assigned a number of relative value units (RVUs), which directly determines how much Medicare (and indirectly, private insurance companies) will pay for that service. In 2007, the RUC did finally vote to increase the RVUs for office visits, redistributing roughly $4 billion from different procedures to do so. But that was only a modest counter to the broader directionality of the RUC, which spends the vast majority of its time reviewing, updating—and often increasing—the RVUs for specific, technical procedures that make specialists the most money. Because of the direct relationship between what Medicare pays and what private insurers pay, that has the result of driving up health care spending in America—a dynamic that will continue as long as specialists dominate the committee. We teach our medical students to recognize that inequities in where patients live, work and play are far more powerful in determining health outcomes than the health care we provide. A child living in a middle-class suburb has built-in structural advantages over a child living in a poor urban neighborhood or rural community, due to disparities in economic and social resources. The same goes for how physicians are paid in the U.S. Until the RUC is dramatically reformed or replaced with an impartial panel, the $3 trillion that we spend on health care annually (20 percent of which pays for physician services) will continue to produce shorter lives and poorer health compared to other similarly developed nations. 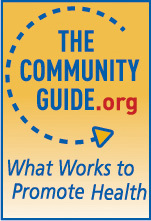 A 2012 Cochrane for Clinicians published in American Family Physician concluded that "self-monitoring of blood glucose does not improve health-related quality of life, general well-being, or patient satisfaction" (patient-oriented outcomes) and did not even result in lower hemoglobin A1C levels (a disease-oriented outcome) after 12 months. 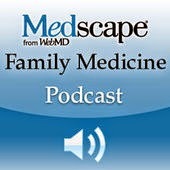 In their article "Top 20 Research Studies of 2012 for Primary Care Physicians," Drs. Mark Ebell and Roland Grad discussed a meta-analysis of individual patient data from 6 randomized trials that found self-monitoring improved A1C levels by a modest 0.25 percentage points after 6 and 12 months of use, with no differences observed in subgroups. Based on these findings, the Society of General Internal Medicine recommended against daily home glucose testing in patients not using insulin as part of the Choosing Wisely campaign. In a recently published pragmatic trial conducted in 15 primary care practices in North Carolina, Dr. Laura Young and colleagues enrolled 450 patients with type 2 non-insulin-treated diabetes with A1C levels between 6.5% and 9.5% and randomized them to no self-monitoring, once-daily self-monitoring, or once-daily self-monitoring with automated, tailored patient feedback delivered via the glucose meter. Notably, about one-third of participants were using sulfonylureas at baseline. After 12 months, there were no significant differences in A1C levels, health-related quality of life, hypoglycemia frequency, health care utilization, or insulin initiation. This study provided further evidence that although glucose self-monitoring may make intuitive sense, it improves neither disease-oriented nor patient-oriented health outcomes in patients with type 2 diabetes not using insulin. So why are so many clinicians still encouraging patients to do it? Does health insurance save lives? No: primary care does. It is plausible that the positive effect of insurance on health is real. The next question is, why? It's not because insured people receive more or better care for acute, life-threatening illnesses. Instead, people who gain insurance generally increase their use of preventive services and are more likely to report having a usual source of primary care, which other studies have found is strongly associated with lower mortality. In fact, I would argue that health insurance's positive effects on health are mediated largely through prepaid primary care services. The American Academy of Family Physicians has joined several other major physician groups in opposing BCRA because absent modifications, it will certainly decrease access to primary care by making insurance unaffordable for low-income and other vulnerable populations who don't qualify for Medicaid or Medicare. But paying for a barely affordable bronze marketplace plan with a $6000 deductible hardly makes primary care affordable, either, outside of a limited list of preventive services. The solution? Make it possible for more people to buy inexpensive primary care without having to go through expensive health insurance. Health reform proposals should build on the knowledge that primary care saves lives for a fraction of the cost of a health insurance premium. In the long run, Democrats and Republicans could find common ground between their "Medicare for all" and "covering everyone costs too much" positions by removing primary care from the inefficient insurance system entirely. Instead, Congress should guarantee everyone a family doctor through a community health center or direct-pay primary care, as physician and financial planner Carolyn McClanahan has proposed. According to a report from the Centers for Disease Control and Prevention (CDC), more than 2 million Americans become infected with antibiotic-resistant bacteria each year, leading directly to at least 23,000 deaths and contributing indirectly to thousands more. Antibiotic resistance occurs in the community, in long-term care facilities, and in hospital settings. Another CDC report on preventing healthcare-associated infections (also discussed in this American Family Physician article) identified six high-priority antibiotic resistance threats: carbapenem-resistant Enterobacteriaceae, methicillin-resistant Staphylococcus aureus (MRSA), extended-spectrum beta-lactamase-producing Enterobacteriaceae, vancomycin-resistant Enteroccocus, multidrug-resistant Pseudomonas, and multidrug-resistant Acinetobacter. In a 2014 editorial, "Antibiotic resistance threats in the United States: stepping back from the brink," Dr. Steven Solomon and Kristen Oliver from the CDC identified three strategies that family physicians can use to limit antibiotic resistance: 1) Preventing infections through immunizations, standard infection control practices, and patient counseling; 2) Reporting unexpected antibiotic treatment failures and suspected resistance to local or state health departments; and 3) Prescribing antibiotics more carefully. Unfortunately, inappropriate antibiotic prescribing (also known as antibiotic overuse) is common in primary care, particularly for patients with acute viral respiratory tract infections. Antibiotic overuse is a multifaceted problem with many potential solutions. 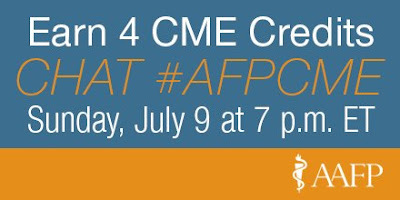 On Sunday, July 9th at 7 PM Eastern, Dr. Jennifer Middleton (@singingpendrjen) and I (@kennylinafp) will be taking a deep dive into the evidence on the most effective strategies to curb prescribing of unnecessary antibiotics. American Academy of Family Physicians members and paid AFP subscribers can earn 4 free continuing medical education credits by registering for the #afpcme Twitter Chat, reading three short AFP articles, and completing a post-activity assessment. We hope you can join us!